Main purpose was to post samples on Instagram. Five stars! Deducting two stars for the app actually inviting all of my friends on Facebook to download it as if it were me. Yes I clicked "tell my friends about Sounds." No I didn't think they would actually send individual messages to EVEYONE - people on my fb that I don't even know well/my actual friends/family. I thought it would be like most and post a general "I Like this app" in timeline on Facebook. My eyes are literally rolling out my head thinking of all the people who think I individually invited them to download an app when I prob haven't posted happy birthday to them in years because I don't spend much time on FB. Grrr. I still love it tho. Hey Brandee! Oh yikes, so sorry that it sent individual messages to your entire FB friends list! That's not supposed to happen, and I feel you on the embarrassment that might have caused (especially the ones you haven't even posted Happy Birthday to in years! )...Shoot me an email at amanda@sounds.am because I'd really like to make it up to you! I highly recommend you check out SOUNDS for yourself. It’s truly music enrichment for free. Overall the app is great. 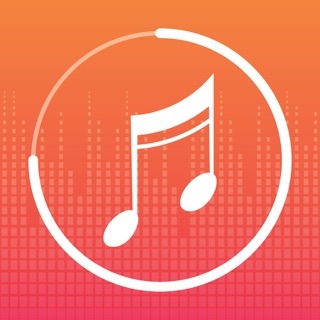 It runs well, is amazing for discovering and quickly sharing music. However, the referral for pro is basically useless. The users want to be able to quickly remove the watermark and create 30 second videos. I'd honestly be willing to pay a dollar to get rid of the pro pop ups. I think charging 99 cents would be so much more efficient then having users refer which hardly ever works.